Traffic on a stretch of a key east-west highway in Colorado won't be back to normal for weeks after boulders the size of small cars crashed onto the roadway. Workers were still finding large amounts of loose rock days after the initial slide. 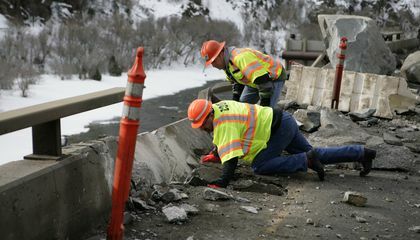 The slide happened Feb. 15 on Interstate 70 about 125 miles east of the Utah border. It damaged a tractor-trailer but caused no injuries. The highway was shut in both directions, from Glenwood Springs in the west to Gypsum in the east. That forced travelers to take detours of up to four hours. The four-lane stretch carries a daily average of 300 vehicles per hour through the canyon, Colorado Department of Transportation spokeswoman Amy Ford said. Ford advised travelers to check the transportation department website for proper routes. There were reports that some drivers used maps and GPS devices to find their own way around the slide and ended up in mountain passes usually closed during the winter. 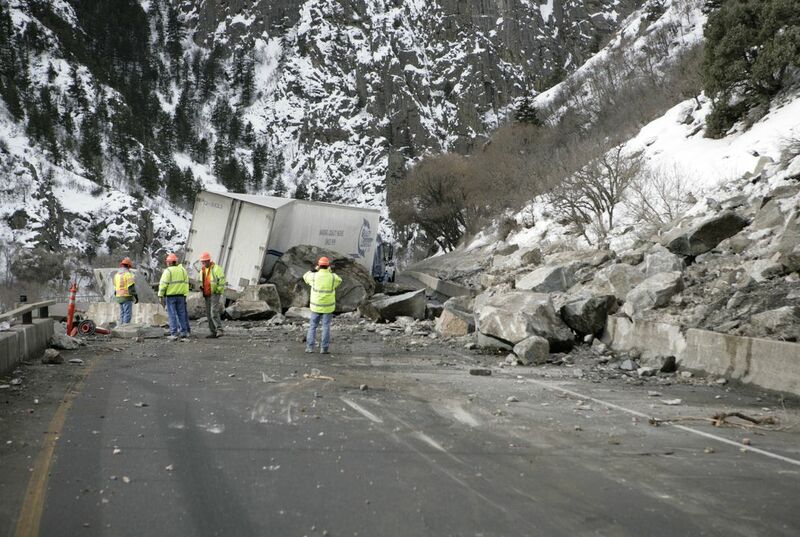 Tumbling rocks have closed the stretch of I-70 several times in the past. A 2010 rock slide tore gaping holes in an elevated section of the road. The holes closed the canyon for nearly four days. That caused food shortages because delivery trucks were not able to reach restaurants and grocery stores. In 2004, more than three dozen boulders landed on the highway. A slide in 1995 killed three people. And a boulder crashed onto a pickup truck in 1985. It critically injured a 5-year-old boy. The CDOT said the Glenwood canyon is among 750 areas prone to slides that it closely monitors. Slides are particularly common when cold periods are followed by warm spells. When that happens, ice begins to melt. I think that the traffic on the highway on Colorado will get better. There has been a rock slide and it caused a massive disaster. A slide in 1995 killed three people and one boulder hit a pickup truck which severely injured a five year old boy. I hope that the workers can finish the job fast and try to prevent further accidents or be ready for them. People have to take different or detour routes to get to where they have to be. There were many rocks and boulders that landed on the highway. I hope that people are safe and that they can fix the damages fast.